It's been a while, but last night we decided to roast a chicken. Smothered in butter (inside and out) and thrown in the oven. 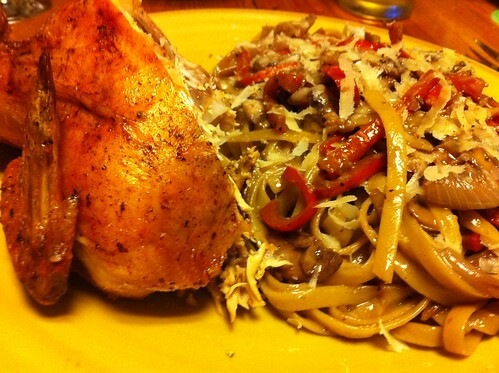 Served with roasted onion, mushroom, pepper and cream fettuccine.